The objective of function testing goes beyond evaluating physical parameters: it is to check, and correct, any issues with functionality to order to confirm that equipment is safe to operate under both standard conditions, and situations where something may have gone wrong. Function testing can spot points of failure that may have been initially unforseen, address them, and provide the customer with the confidence that all possible scenarios have been fully accounted for. Sensible function testing can make the difference to any operation that employs potentially hazardous equipment. Companies active in mining, lifting and metalworking activities, to name a few, make use of both automated and manual processes, and must, therefore, be prepared for mechanical failure as well as human error. The surrounding environment is often not 100% within the operator’s control, and factors such as the elements, dust or humidity can have a broader impact on the system’s functionality. Rather than limiting equipment assessment to separate proof load or hardness tests, function testing looks at how the device behaves within its broader system, under a variety of relevant circumstances. Closely monitoring the mechanisms processes step by step, function testing provides a pass/fail verdict to ascertain that product design is free of defects that could, otherwise, adversely affect the product’s correct functioning within its systemic application. minimises costs and downtime that can come from a potential on-site discovery of a critical issue. A functional test should be completed at least once in the life of equipment, ideally as the final step of the quality control process and before on-site installation. The indisputable advantage of function testing, in fact, is that customers can install a completely new product on their site that has already been thoroughly tested and debugged, avoiding any surprises. However, if you have a device currently in service that fulfils a critical function to operations or safety, and has never been through function testing, it is also a good idea to test it. The Reliance Hexham function testing procedure is as follows; our testing engineer will review your requirements, such as testing scope and typical working conditions, design the test, set up the instruments, plan the workflow and prepare the test report form. Then, our experienced technicians will proceed to comprehensively function test your equipment, cycling it through an exhaustive range of operational scenarios, and examine whether it delivers its desired functionality. Our test environment will be designed to be identical, or as close as possible, to the anticipated production environment. We will also simulate malfunctions in other parts of the system to verify the reliability of safety mechanisms. A product that greatly benefits from function testing is represented by detaching hooks, whose mechanism cannot easily be tested in its real-world operating environment—mines. Reliance Hexham carries out function testing verifying their full functionality via a dedicated detachment simulating machine. Corroborating video evidence is provided to customers for every detaching hook shipped. We offer our expert services for the Australian mining, specialised lifting, and aluminium and steel processing industries. 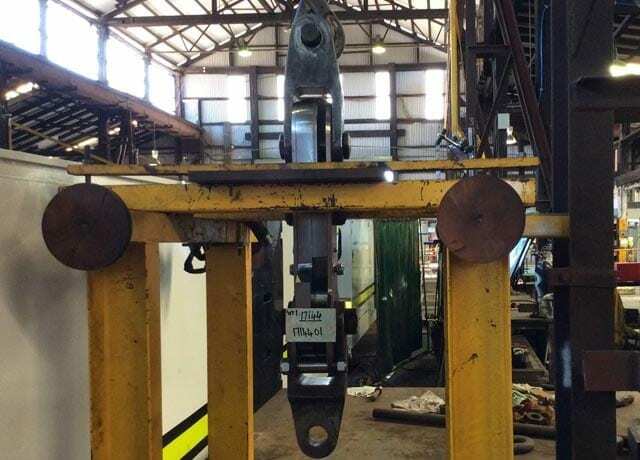 Applications include lifting equipment, safety hooks and other safety mechanisms, shaft conveyances, drift conveyances, and specialised products. 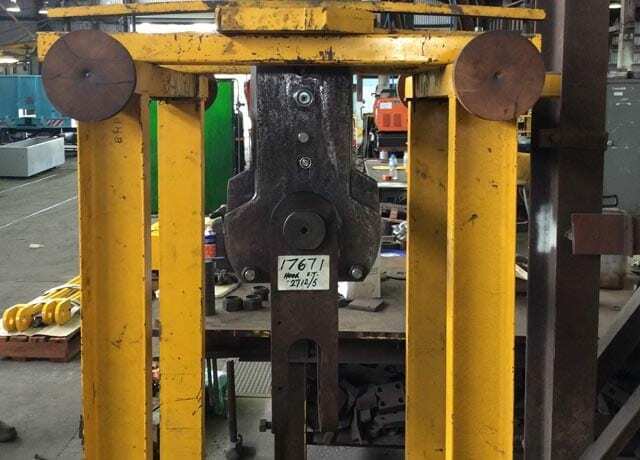 Specifically for vertical shafts, function testing will ensure that, in the event of a winder malfunction, a rope that gets caught or snaps, or any other failure, there are appropriate safety mechanisms in place, i.e. detaching hooks, overwind preventer, overwind conveyance arrester, that will cover all the bases. Our team of specialists will be able to provide dedicated advice for your specific application and function testing requirements, and is always at your disposal for consultations or quotation requests.